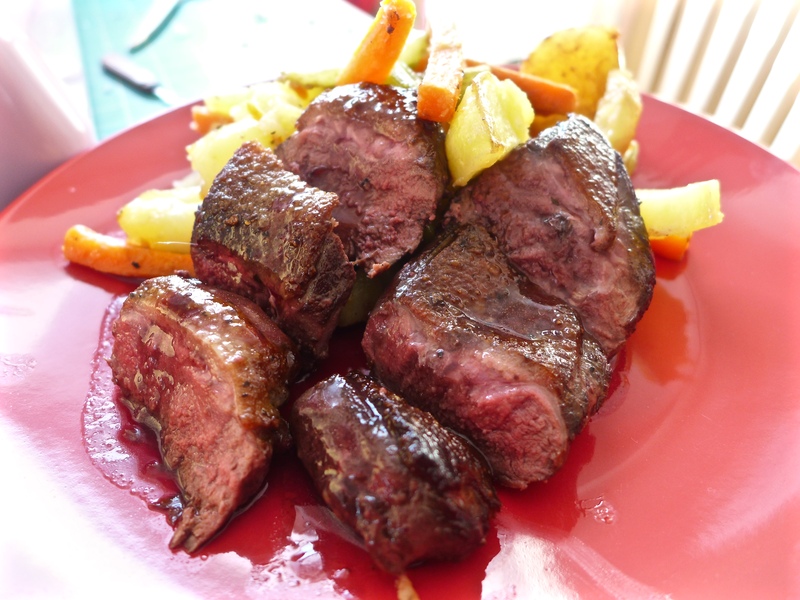 To make the roasted root vegetables preheat the oven to 190°C. Heat the oil and butter in a large roasting tin on top of the stove. 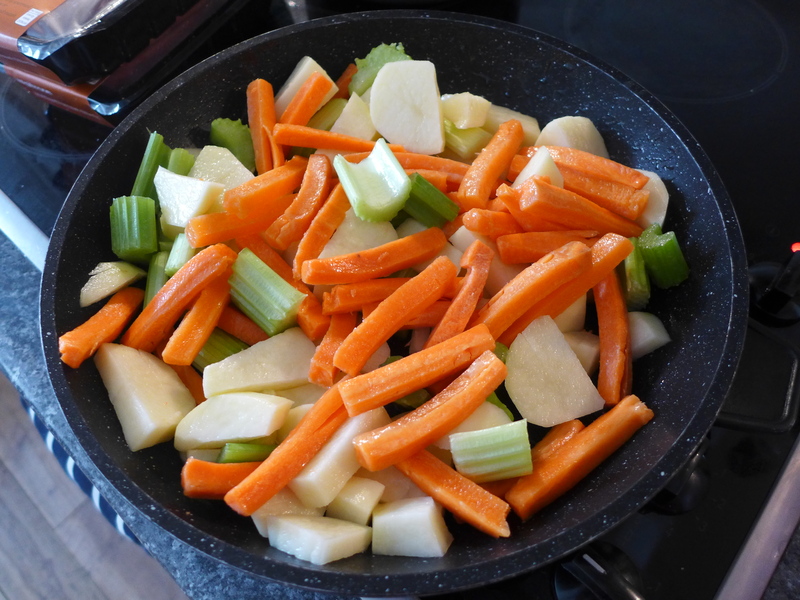 Fling in the vegetables and stir fry for 5-6 minutes over a high heat, until well coloured. Season and add just enough water, about 300ml to half cover the vegetables. Bring to the boil and reduce the liquid by half. 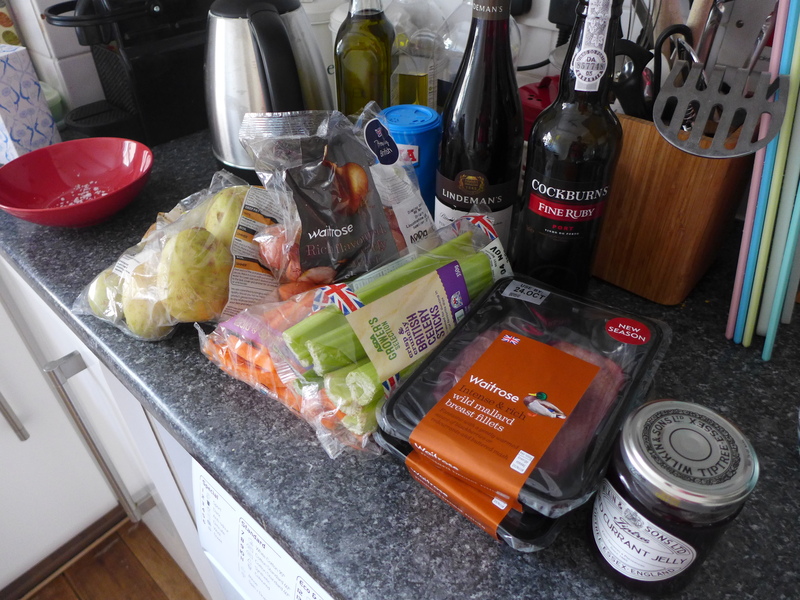 To make the sauce, put the port and the red wine in a small saucepan and reduce until it’s nearly disappeared. Add the stock and redcurrant jelly and reduce it by half. Add the butter and shake the pan until the butter dissolves, but don’t let it boil. Keep the sauce warm. 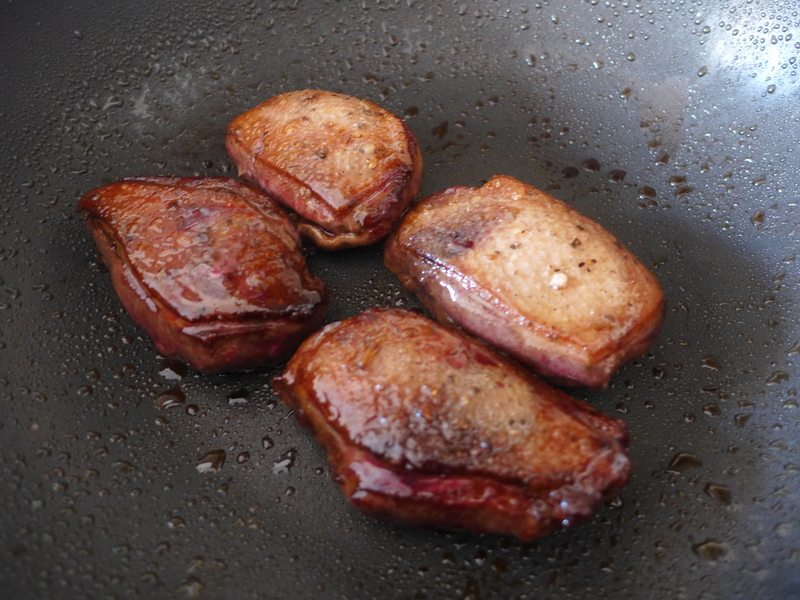 To cook the mallard, you need to heat a large frying pan until hot. Add the sunflower oil and heat it until smoking. 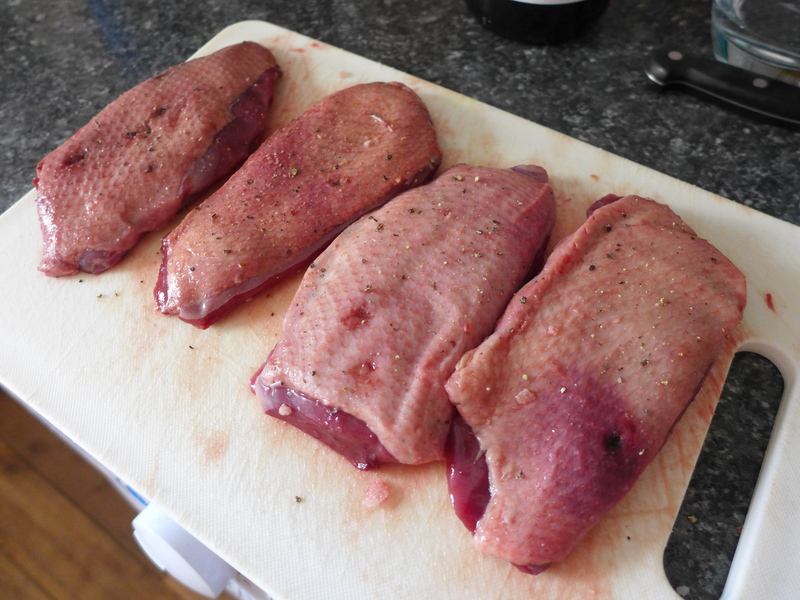 Season the mallard breasts with salt and pepper and then add them to the pan, skin side up. Cook for 2 minutes, and then turn skin-side down and cook for a further 5-10 minutes over a medium heat, depending on how thick the breast is and how pink you like your duck. Turn skin side up once more, remove the pan from the heat and allow the mallard breasts to relax in the pan in a warm place for 10-30 minutes. Warm the sauce through. Taste to check the seasoning before popping the mallard breasts back into a hot oven for 1½ minutes. Lay out four warmed plates and divide the vegetables between four neat piles. Carve each breast into three and place next to the vegetables. Spoon over the sauce and serve.